The first 3D printed gun made sensational headlines. Practically, 3D metal printing (DMLS) is a game-changer for the firearms industry because it allows production innovation, customization, and material efficiencies for military and civilian products and parts. i3D MFG™’s most common DMLS metals used for firearm production parts are Inconel (Thermal & Strength properties), Titanium (Weight, Corrosion & Strength), and Stainless Steel (Corrosion & Strength). Three-dimensional printing with metals eliminates engineering constraints so prominent in traditional design-for-manufacture projects. Innovations leading to weight reduction, superior performance, and new advancements in tactical gear are all highly desirable for military suppliers. i3D MFG™ is proud to be the first DMLM/DMLS provider in North America to own the EOS M280, M290 and M400 x 4. As an official Material Process Applications (MPA) site for EOS, i3D MFG™ prides itself on its DMLS/DMLM material and 3D print application innovations. From 3D printed titanium suppressors to firearm accessories, DMLM/DMLS is an excellent solution. 3D CAD models drive the DMLS/DMLM machine to fuse micro-layers of powder together to create a nearly 100% dense, fully functional production part. i3D MFG™ 3D prints conformal cooling lines, lattice and honeycomb designs, and complex internal geometries that are too costly or impossible to traditionally manufacture. These innovations result in up to 70% weight reduction, advanced performance, and small batch, custom production in days or weeks instead of months or years. 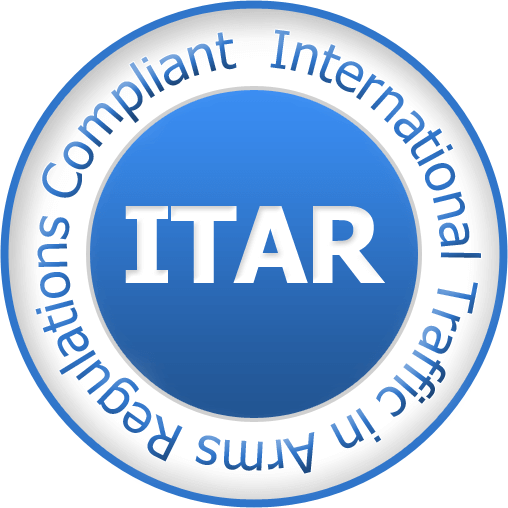 We produce all of our parts on-shore, meeting all ITAR requirements. Creating custom firearms parts is a possibility with DMLM/DMLS. 3D printing enables small arms manufacturers to review and test custom firearm design and gun components, including 3D printed titanium and super nickel suppressors. New designs can be tested within days or weeks rather than months or years. i3D™ Manufacturing specializes in Inconel, Maraging (Tool) Steel, and Titanium DMLM/DMLS. These materials lend optimal strength and handling for tactical firearms components. Our heat treat process yields additional strength and durability to the parts (i.e., i3D MFG™ Maraging (Tool) Steel hardens to average HRC 53). 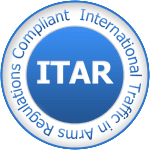 i3D MFG™ is ITAR registered with the U.S. Department of State and follows ITAR protocols in Bend and The Dalles, Oregon locations. Offering one of the largest selections of DMLM/DMLS standard metal powders in the U.S., i3D MFG provides our customers with significant competitive advantages and design and proprietary advancements. We are also one of the few 3D manufacturers that specialize in copper, titanium, aluminum, Inconel, Haynes, Monel K, stainless steel, and custom metal powder applications. Featuring excellent thermal properties and low weight considerations, AlSi10 is optimal for parts with thin walls and complex geometries. Ideal for projects in the medical device, aerospace, firearms, energy, and automotive industries, Ti64 features superior corrosion-resistance, strength, weight reduction, and biocompatibility. Medical-grade, sterilisable, and corrosion-resistant, Stainless steel is used primarily in medical device, defense, firearms, energy, and automotive applications. Stainless Steel hardens to 40-45 HRC after heat treatment. Our stainless-steel equivalents include 15-5, 17-4, and .316. Parts made from EOS stainless steel PH1 can be machined, spark-eroded, welded, micro shot-peened, polished, and coated. MS1, Maraging (tool) Steel is a pre-alloyed and ultra-strong steel powder that is often used in tooling applications. Its chemical composition corresponds to U.S. 18% Ni Maraging 300, European 1.2709 and German X3NiCoMoTi 18-9-5. After heat treatment, MS1 typically has a 50-53 HRC. A DMLS/DMLM nickel alloys, IN718/INC625 are chromium alloy with excellent heat resistance for use in rocket, space, aerospace, firearms, energy, and automotive applications. IN718 typically features a post-heat treatment hardness of 40-47 HRC (370-450HB). The market leader in DMLM powder development, i3D MFG has access to the latest DMLM machine parameter sets and enabling i3D to create custom powder applications for aerospace, rocket, defense, firearms, medical device, oil & gas, energy, automotive, and casting customers.